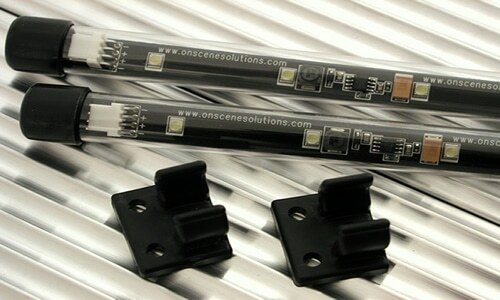 The Night Axe™ LED linear light from OnScene Solutions is now UL Certified! These linear tube lights are extremely versatile and they adapt to nearly any mounting location. Featuring a durable, waterproof design these lights are rated for thousands of hours of service and use substantially less amperage draw than standard incandescent lighting.